When communicating with aging parents it’s important to remember their life is rapidly changing and they are trying to maintain a sense of independence. It’s difficult for seniors to rely on others for care and to help solve their problems when they maintained control of their own life before. Here are helpful tips to keep in mind when communicating with aging parents to keep your relationship healthy and to make the most of your time together. Take time and be respectful. While adult children are caught up in the demands of family, work, and finances, their parents’ lives have slowed down. They have less of a sense of urgency to get things done and may take time to make decisions. It’s not always about being slow or a diminished capacity. This can be frustrating, but remember, parents have a lifetime of experience to draw from and want to make the best decision, instead of the fastest. Be respectful of their slower approach so they won’t think you are trying to control them. Reminisce about life. Adult children may think they know their parent, but when you take the time to reminisce about life with them you’ll be amazed at what you’ll learn. Ask questions to learn more about the situations they faced, people they met or places they lived or visited. These life stories are important for families to understand and appreciate who they are. 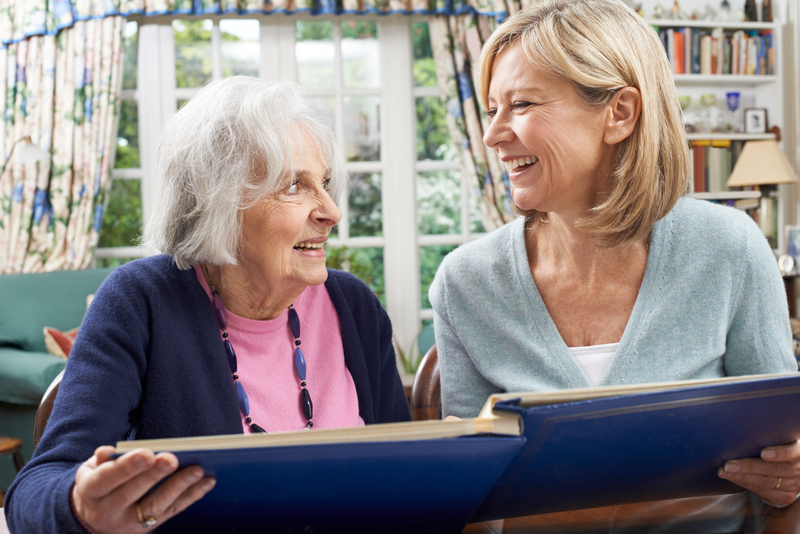 While these are simple tips, these will help you understand more about your parent’s past and what they are going through day-to-day as they age.